Express your mood without the need of your phone when you wear these emoji-themed rings. 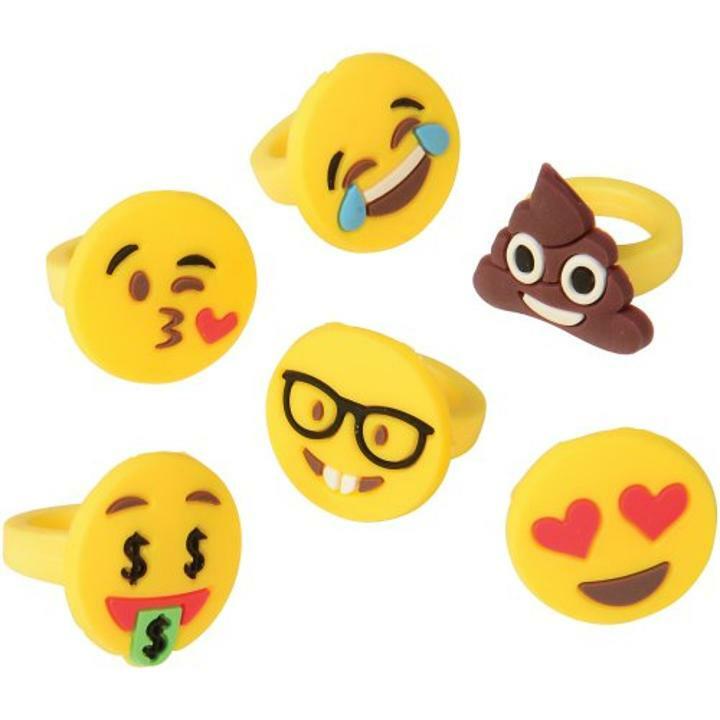 Representing everyone's favorite emoticons, including the famous poop emoji, these novelty rings are sure to bring your guests plenty of "LOL" moments at your next event. Child-sized, they are the perfect emoji themed party favor. L: 2.0 in. W: 5.0 in. H: 4.0 in.